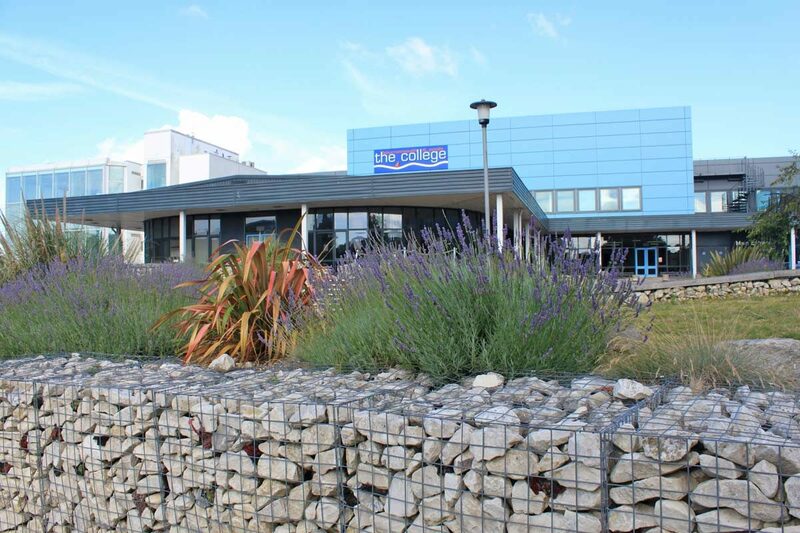 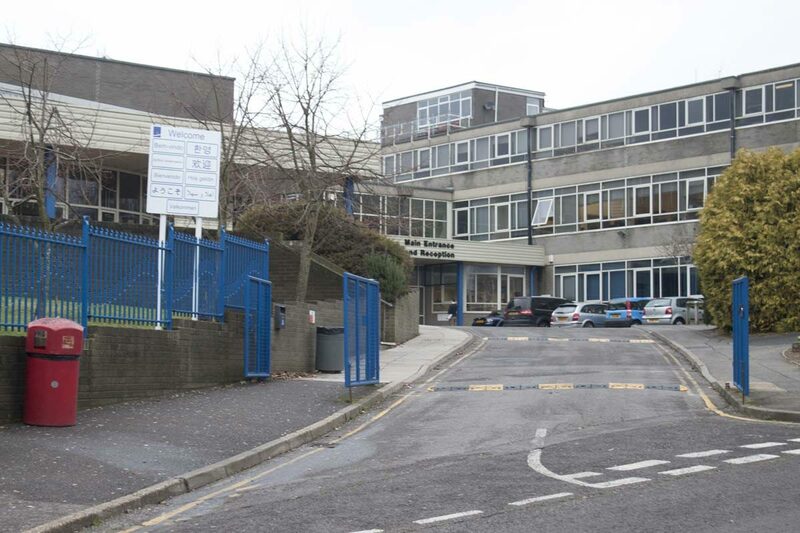 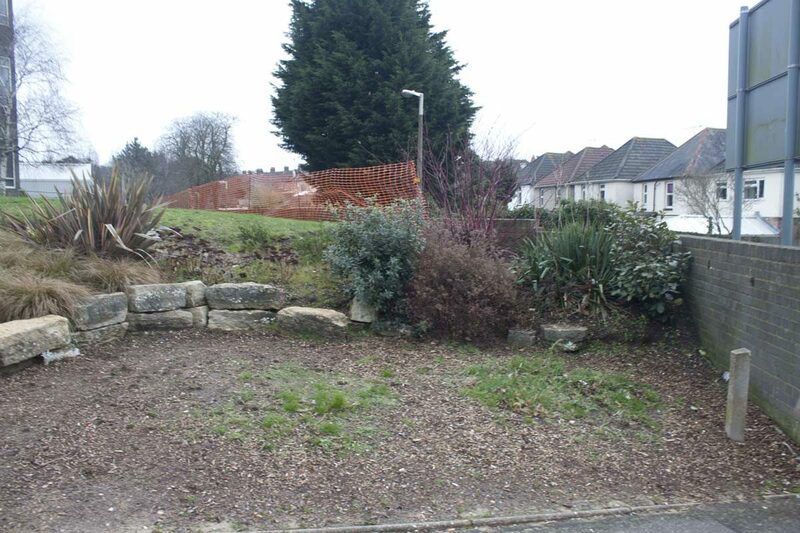 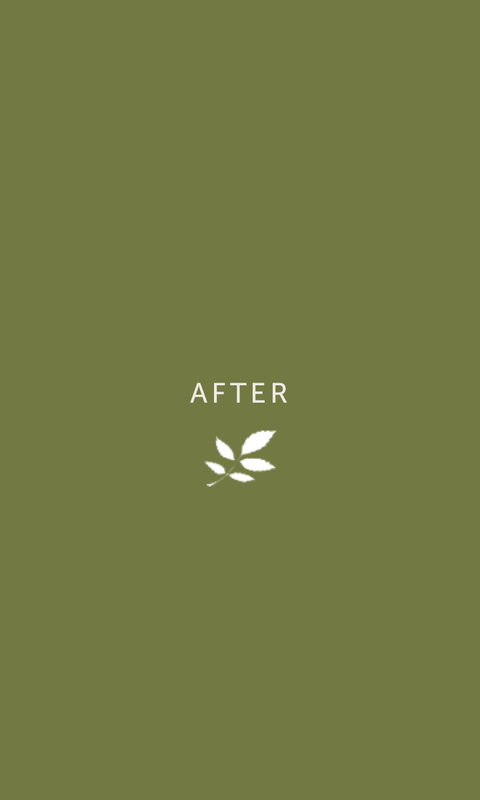  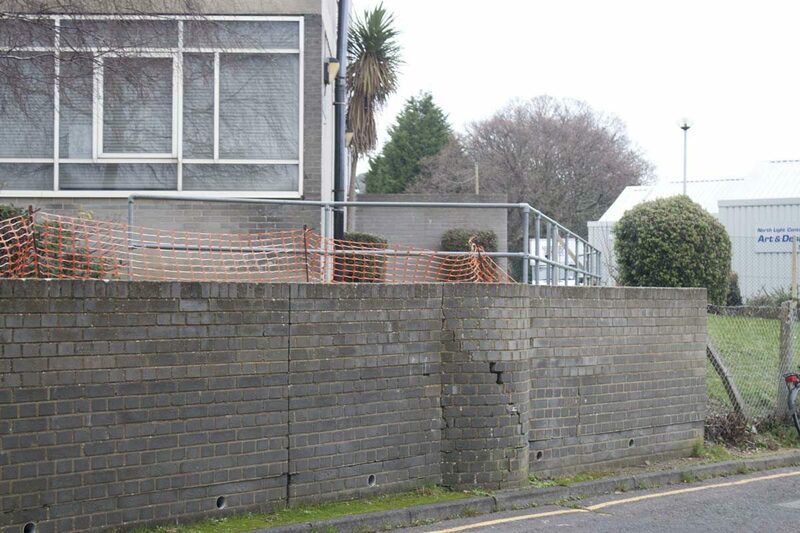 The Bournemouth & Poole College campus had substantially deteriorated, particularly the main entrance and front boundary walls, which were dangerously unstable. 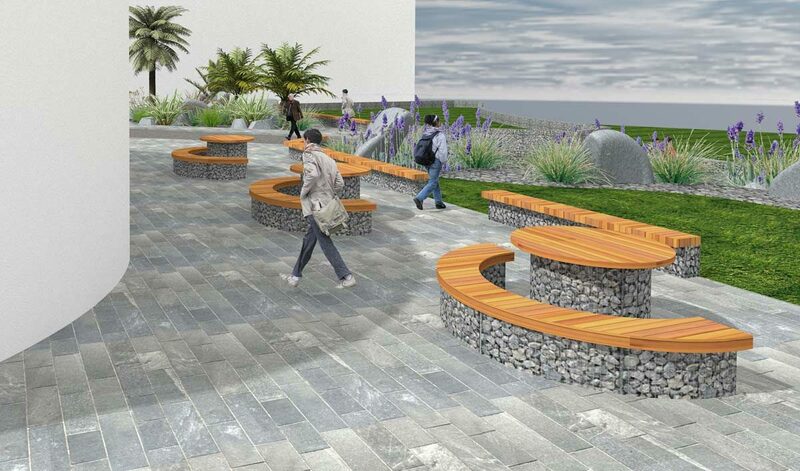 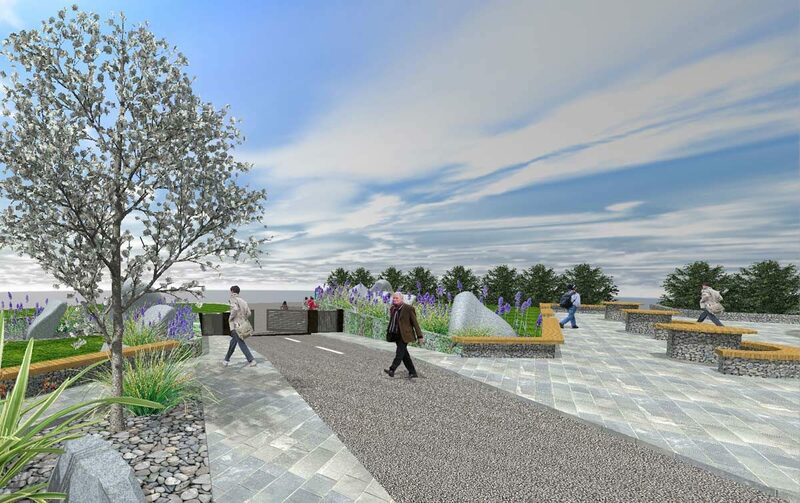 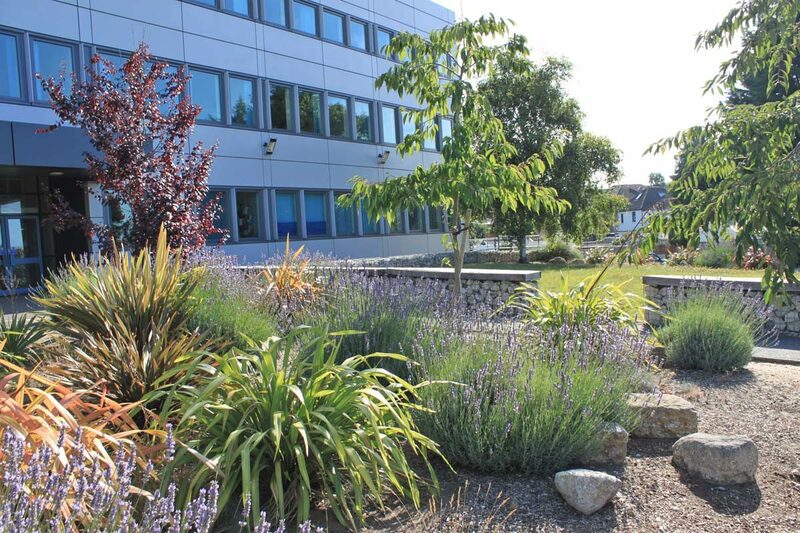 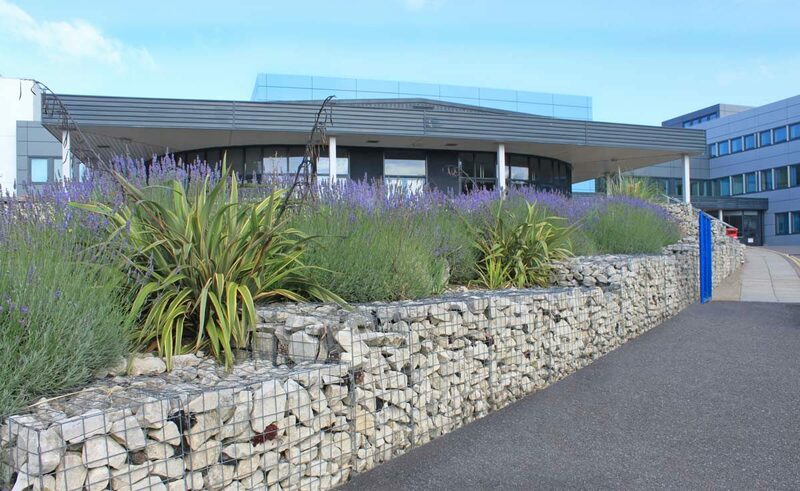 The landscape was modernised using rugged galvanised steel gabion baskets filled with Purbeck stone and Sempervivum. 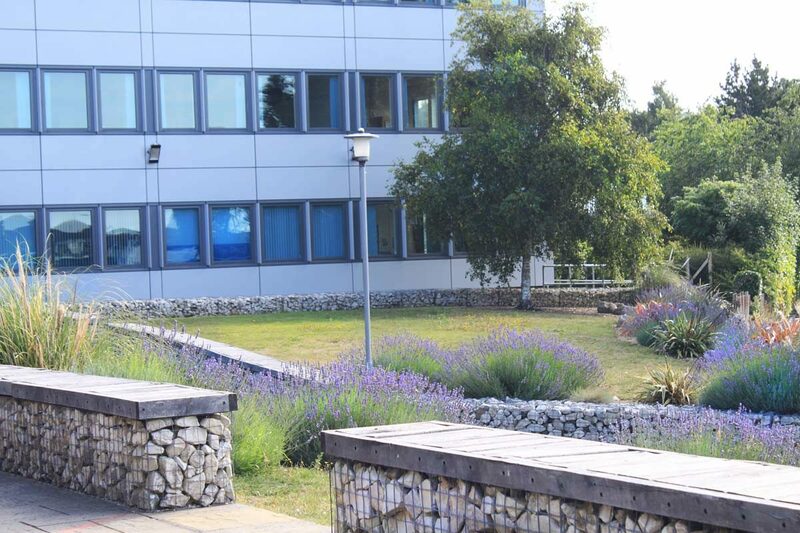 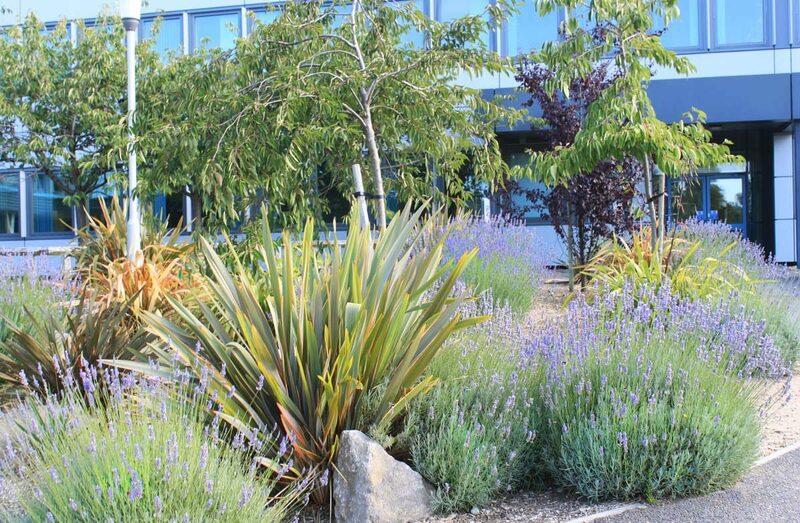 Low-maintenance planting beds with oversized Purbeck boulders offer year-round texture, colour and interest. 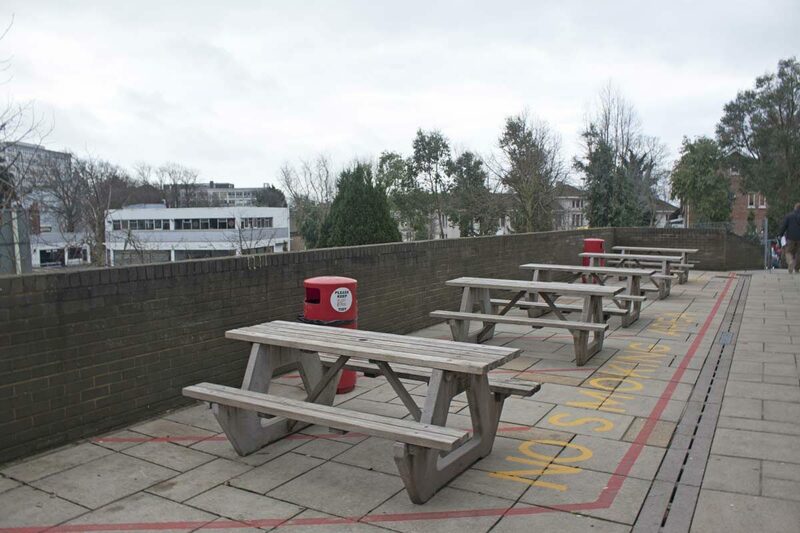 Bespoke communal seating areas bring the students together in areas to study and socialise. 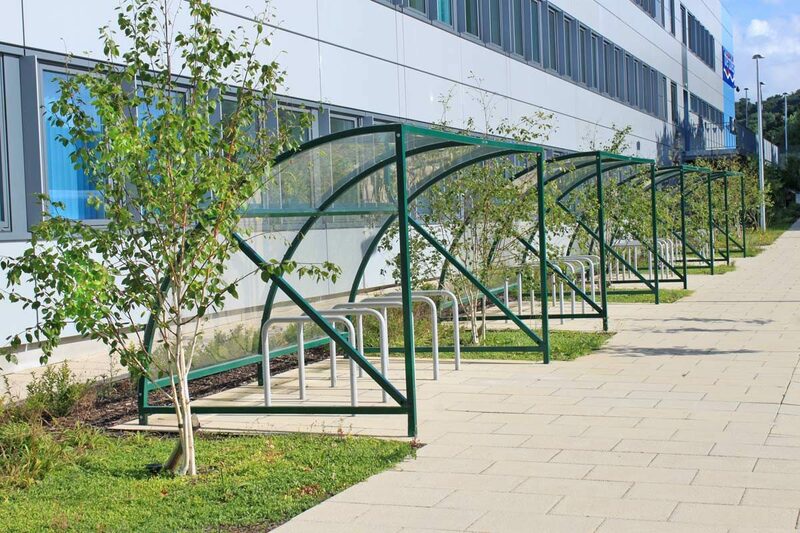 Modern bike shelters and wide, generous paths to other parts of the college encourage easy circulation and address important issues of accessibility.